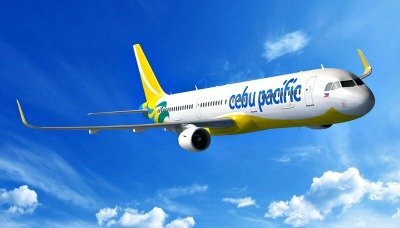 The Philippines' leading airline, Cebu Pacific strengthens its domestic route network and air connections to and from Mindanao with the designation of the Laguindingan Airport as its seventh hub in the country. Cebu Pacific also launched two new routes that link Northern Mindanao to Caticlan (Boracay) and Dumaguete City. Cagayan de Oro was among the first domestic destinations launched by Cebu Pacific when it started operations in 1996. Today, the CEB network, including inter-island routes of subsidiary Cebgo, boasts of a total of nine connections to and from the Laguindingan Airport—Manila, Bacolod, Caticlan, Cebu, Dumaguete, Iloilo, Tagbilaran, Davao and Zamboanga. "What was originally the 4th destination launched back in 1996, is now a hub. It follows the path of Manila, Cebu and Iloilo, also hubs. Today is a testament to our long-standing commitment to contribute to nation-building, and make air travel more accessible to Filipinos. We look forward to the effect our low fares and direct flights will have on Northern Mindanao," said Lance Gokongwei, President and CEO of Cebu Pacific. Located in Misamis Oriental province, Laguindingan Airport serves the gateway to Northern Mindanao, catering Cagayan de Oro City and neighboring areas, including Iligan City, Marawi City, and Bukidnon province. The airport complex currently has a 7,200 square meter passenger terminal and a 2,100 meter runway, capable of four takeoffs and landings per hour. Since it opened in 2013, the airport has become the sixth-busiest in the country, serving over 1.7-million passengers per year. The expansion of the CEB domestic route network will also increase the carrier's capacity and reach for cargo service. This will mean faster and more efficient movement of goods across the country. Cebu Pacific also marked another milestone—its 150 millionth passenger, after 21 years of operations. CEB aims to carry 20 million passengers in 2017. From January to June 2017, the carrier has flown 10.09 million passengers. The Cebu Pacific route network now has 25 international and 37 domestic destinations. Its fleet of aircraft includes one Airbus A319, 35 Airbus A320 and eight Airbus A330s; while the Cebgo fleet is composed of eight ATR 72-500 and seven ATR 72-600 aircraft. Between 2017 and 2022, CEB expects delivery of 7 more brand-new Airbus A321ceo and 32 Airbus A321neo aircraft.